After having successfully docked, undocked and landed the Crew Dragon Capsule last week, SpaceX is getting ready for its next challenge: the Starship prototype. While the vehicle is not yet space-worthy, SpaceX employees have been working hard in the past few months to assemble the upper stage of the spacecraft’s launch system and, on Friday, the company had sent a notice to the Boca Chica Village residents, who live near the test site. The notice informed the residents that SpaceX will start the tests -according to the copies that were distributed on social media- ‘as soon as the week of March 18th, 2019’. 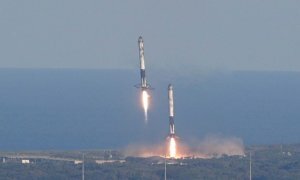 On Sunday, Elon Musk, SpaceX founder, after being asked repeatedly by many people on social media if the tests will start this week, confirmed via Twitter that the company was indeed about to start test flights and that the Starship will be tested for its ability to ‘hop’ away from the spaceport and then land safely back on the ground. According to Musk, there is still a lot of integration work that remains to be done as far as the engine and stage goes and that the ‘first hops will lift off, but only barely‘. The tests will be focusing on a single Raptor engine, though the suborbital flights that will follow will feature three of them. The Starship went through a few changes since Musk first introduced it back in December – initially, the spacecraft was supposed to feature a large nose cone but the cone fell apart under the high winds that passed through the South Texas site in January and were too damaged to be repaired. SpaceX decided not to use a nose cone for the upcoming tests, since it’s not a necessary feature for low-altitude flights. The nose cone was not the only change – the vehicle’s heat shield is also an important part of the spacecraft, as the Starship is expected to be able to land back on Earth, pass safely through our planet’s thick atmosphere and then safely lift off again shortly after. “Starship needs to be ready to fly again immediately after landing,” Musk had previously said “Zero refurbishment“. This heat shield went through a few changes itself and now features hexagonal tiles that were heated to 1650 Kelvin (1375 Celsius), as can be seen below, in the video Elon Musk posted on Twitter. 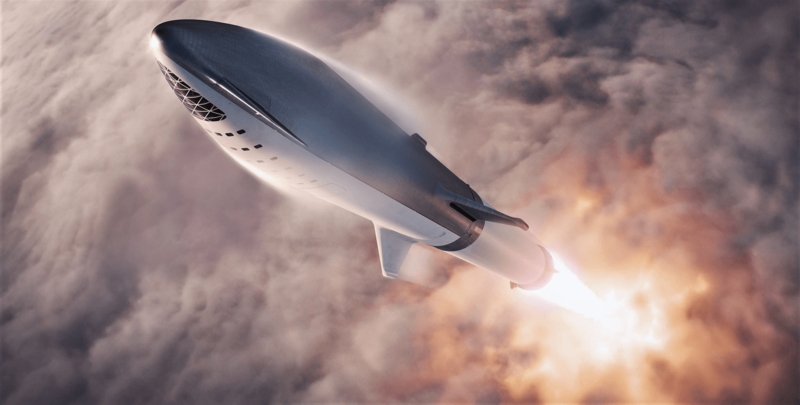 SpaceX has great plans in mind for the Starship – not only is the spacecraft supposed to fly from and back to Earth repeatedly, but the company also wants it to land on the moon in the near future and be used as a cargo vehicle that will hopefully help us build the foundations for a Lunar base.